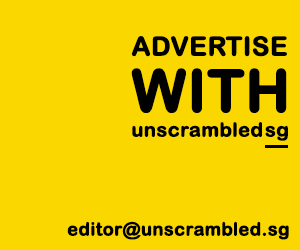 TL;DR – Food for the Seoul. The traditional Korean BBQ is a fun, communal dining activity that provides people with a pleasurable multiple sensory experience. It not only combines a variety of textures, temperatures, flavours and sounds but also gives them the opportunity to cook their own food directly from the dinner table! 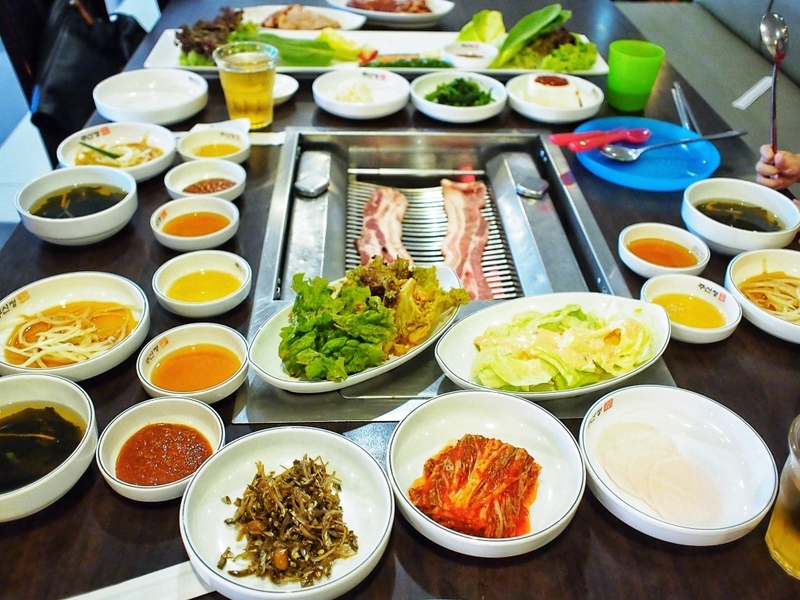 Oh and definitely not forgetting the amazing selection of banchan (Korean side dishes) that is paired perfectly with the top quality meats and vegetables – it’s truly a cultural gastronomic journey to embark on. 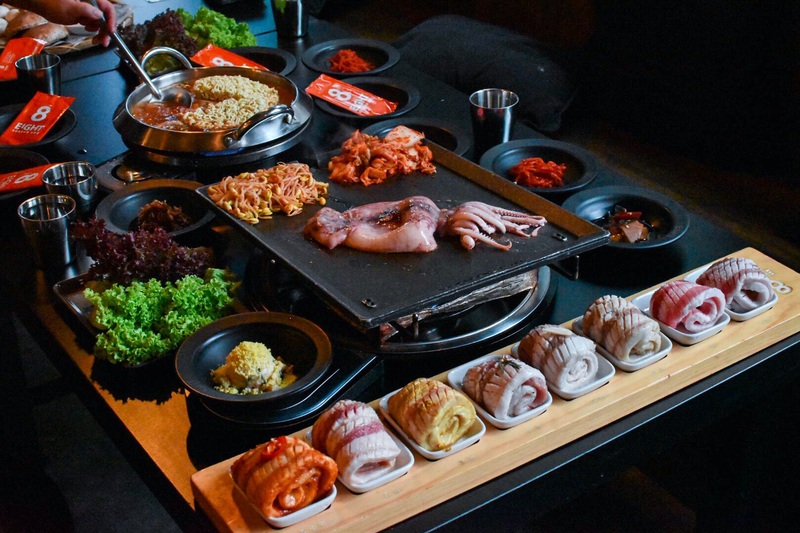 Here are 5 of our favourite Korean BBQ restaurants in Singapore worth checking out! Don Dae Bak is a traditional Korean charcoal barbecue restaurant offering an all-you-can-eat buffet that gives you access to unlimited plates of sinful yet delicious pork belly, shoulder loin, marinated chicken, beef brisket, the restaurant’s signature herb wine pork belly and more!! The barbecue grill comes with a little canal where egg custard is poured into and a simple steamed egg can be made. If you prefer ordering a la carte, then you should try their Spicy Rice Cakes ($7), Spicy Seafood Tofu Soup ($12), Korean Ginseng Chicken Soup ($15) or Kimchi Pancakes ($18) and more. 8 E!ght Korean barbecue restaurant located at The Central is a slightly upscale restaurant that has a signature 8 Colour Set ($98), which consists of tantalising thick, long strips of Mangalitza pork belly which have been meticulously seasoned in eight different ways: original, herb, wine, kalbi, curry, red pepper, garlic and miso paste which comes with free banchan (appetisers). Other than their signature set, they also offer quality beef selections – US prime short rib (200g, $38), Ohmi wagyu ribeye (200g, $110), and Argentinian ribeye (200g, $58) – , king prawn, Atlantic salmon, Korean squid, pork neck and pork jowl to grill, as well as the typical comfort food classics like kimchi fried rice, ginseng chicken soup, a variety of stews (pork belly kimchi, sardine kimchi, seafood bean paste and beef kimchi), crispy pancakes and steamed egg. Seorae Galmaegi Korean Charcoal BBQ proudly serves a cut of meat that has become their signature dish is none other than the Galmaegisal or also known as the ‘skirt meat’. This special cut of meat is exceptionally juicy and tender even though it contains a minimal amount of fat and is found between the belly and ribs of the pig. Galmaegisal is said to have been exclusively served to the Korean Royal Family in the past. The restaurant offers two different combinations of Galmaegisal, garlic soy sauce ($21290/small & $31.90/large) and the original ($21.90/small & $29.90/large). There’s even an option for cheese lovers to have a fondue ($2/portion) surrounding the grill where you can dip the meats for an additional burst of flavour. Seorae Singapore also has a huge menu selection of premium beef and pork cuts, traditional cold noodles, japchae, kimchi fried rice, traditional korean stews (jigae) and more! If you’d like to end off the meal on a sweet note, then you should definitely try their patbingsu (Korean shaved ice dessert). Fri & Sat: 11.30am to 11pm. Did you know that Ju Shin Jung was given the title of Singapore’s first (ever) Korean charcoal barbecue restaurant? There’s nothing better than the sight of a dinner table covered in dishes filled with sumptuous food. At Ju Shin Jung, you can enjoy a free-flow spread of 12 comprehensive banchan paired with the most exquisite melt-in-your-mouth meats! Their meat selection includes the black angus beef rib, wagyu beef chuck-rib, smoked pork belly, black pork collar, pork jowl, marinated chicken, grilled fish and many more. This meal would definitely not be complete without having a few rounds of soju, premium Korean wine or even some icy cold Korean beer! Embark on an authentic Korean gastronomic journey at Hyang-To-Gol Korean Restaurant, located on the second floor of Amara Hotel. 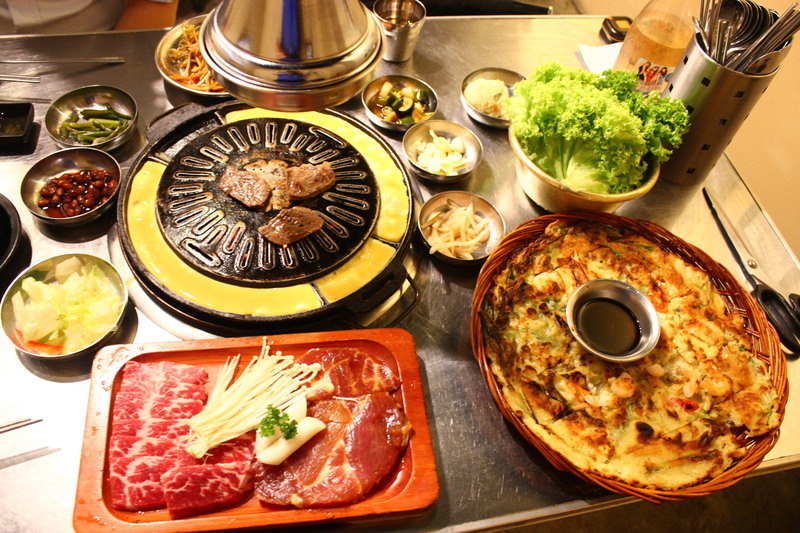 Hyang-To-Gol’s menu boasts top quality a la carte BBQ selections, delectable traditional Korean dishes, hot pots, a good range of non-alcoholic drinks to Korean liquors and spirits. Some of their meat selection highlights consist of top grade beef chuck short ribs, marinated bulgogi pork, marinated lamb slices and marinated pork belly. Savour the heavenly meat juices oozing out of their impeccably marbled top-grade meats (beef/pork/lamb/chicken), and just enjoy the moment when the meat simply melts in your mouth. They have a highly extensive menu selection that goes beyond the options of barbecued meats, perhaps you could try their scallion pancake, jigae (hot pot stew), tteokbokki (spicy rice cakes), yuk-hweh (Korean beef carpaccio), grilled seafood or cold noodles.